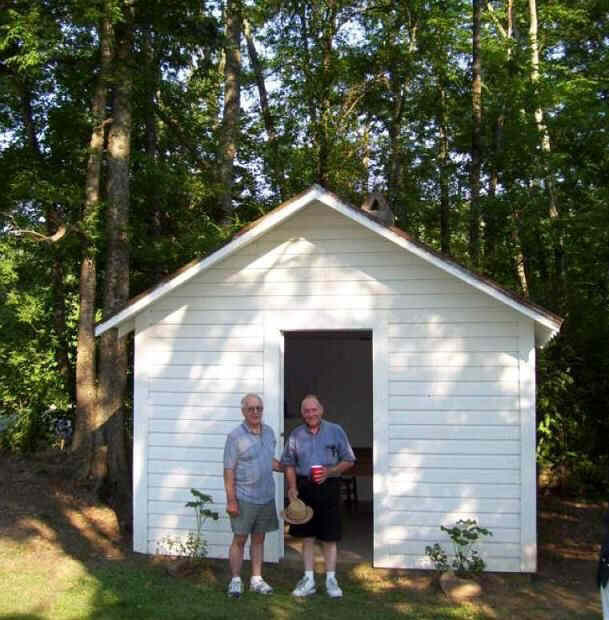 This is our friends Ray and Joye Lewis, they live in Gadsden, Alabama. Ray retired from the steel plant several years ago. Then he was a Lay Minister for the Methodist Church for several years and has now retired from that profession also! 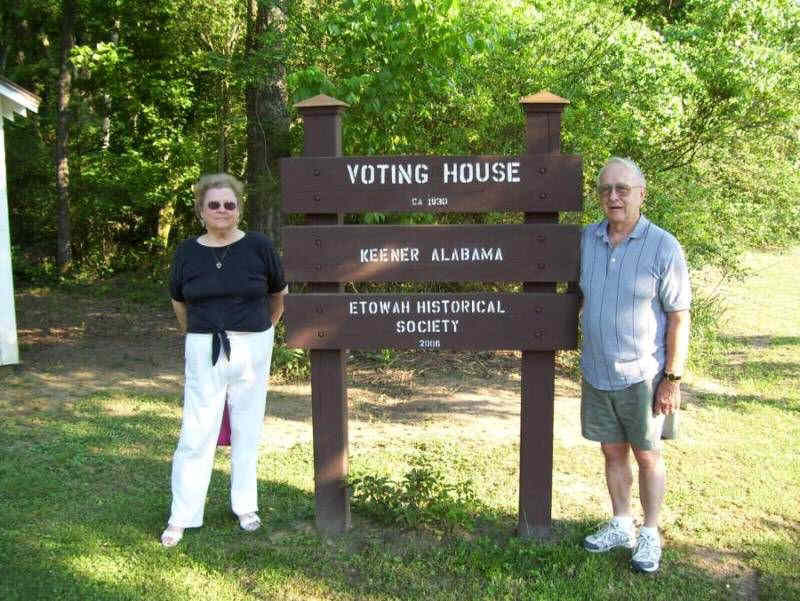 His latest project has been restoring the Voting House at Keener, Alabama with his brother Ed Lewis. Joye and I went to Gadsden High together. We got reacquainted at about our 40th High School Reunion when she was on the "Welcome Committee" and served as a greeter! Ray had got the Voting House accepted by the Alabama Historic Register, just before we came, and there was a large write-up in the local paper about Ray's accomplishment while we were visiting! This is Ray's grandfather's former home also in Keener! It had a beautiful view out across the valley from the front yard. Not sure why the house was abandoned? Ray also learned that his grandfather had been Pastor of the local Methodist Church for a number of years! Well what can you say about this photo? Yum, Yum! 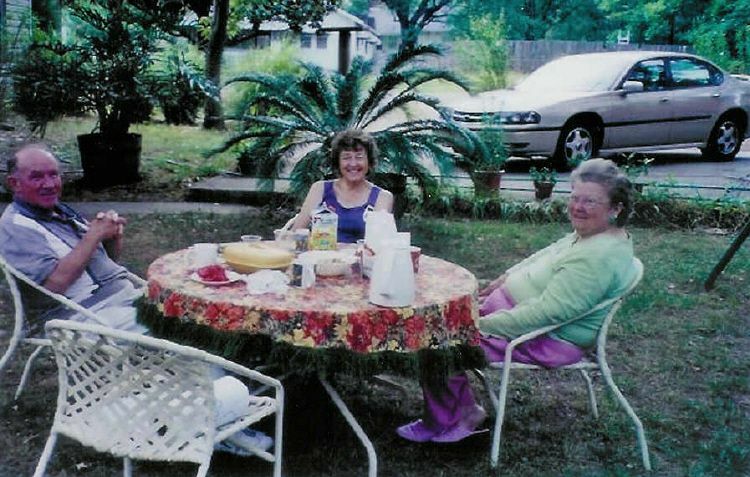 Joye and Ray served us breakfast one morning in the backyard! 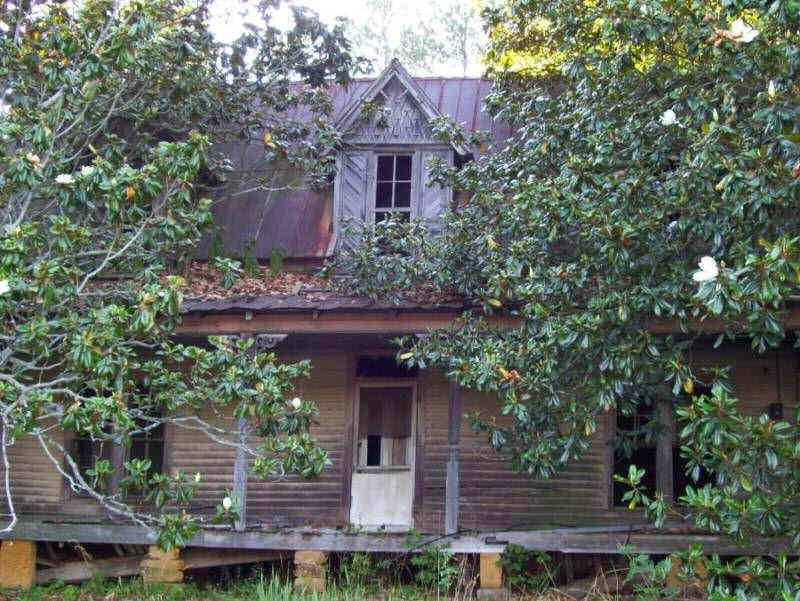 This is the Voting House, it was used by local residents from about 1930 to 1963. There was supposed to be one other buiding in the State but they have not been able to locate it! 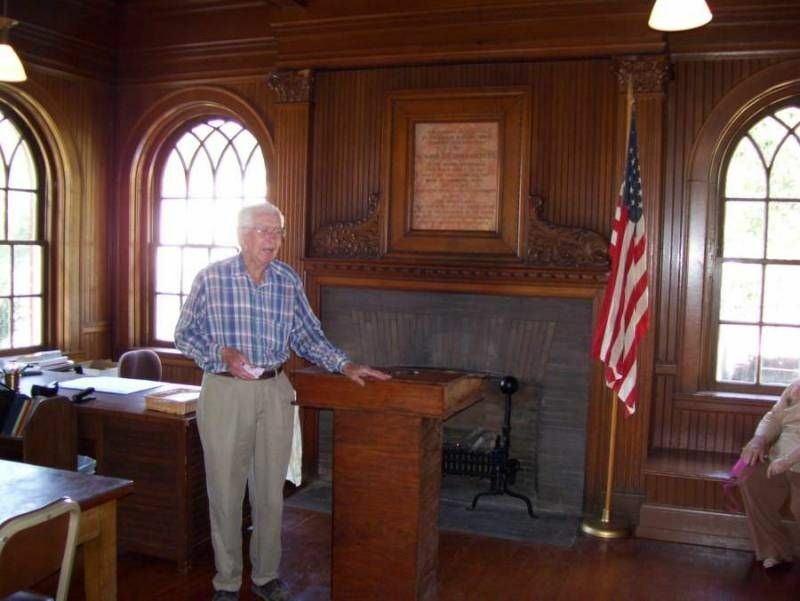 Ray has had contact with people from 16 States that still use a Voting House! This building was formerly a Library. 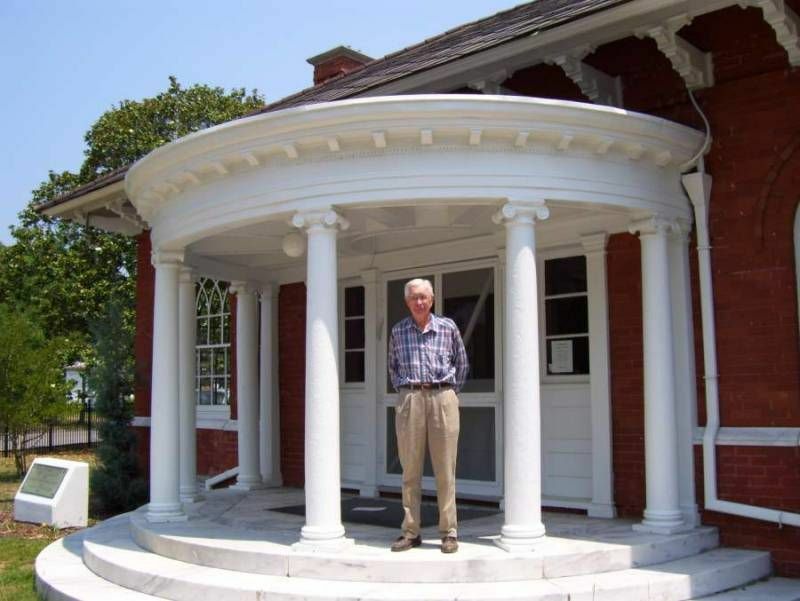 It is believed to have been the 1st public Library in Alabama that allowed residents to check out books. It is now home to the Northeast Alabama Genealogical Society. This is Ed Lewis, Ray's brother who offered to open up on Saturday and show us around! He is quite an active fellow to be 84 years young!! 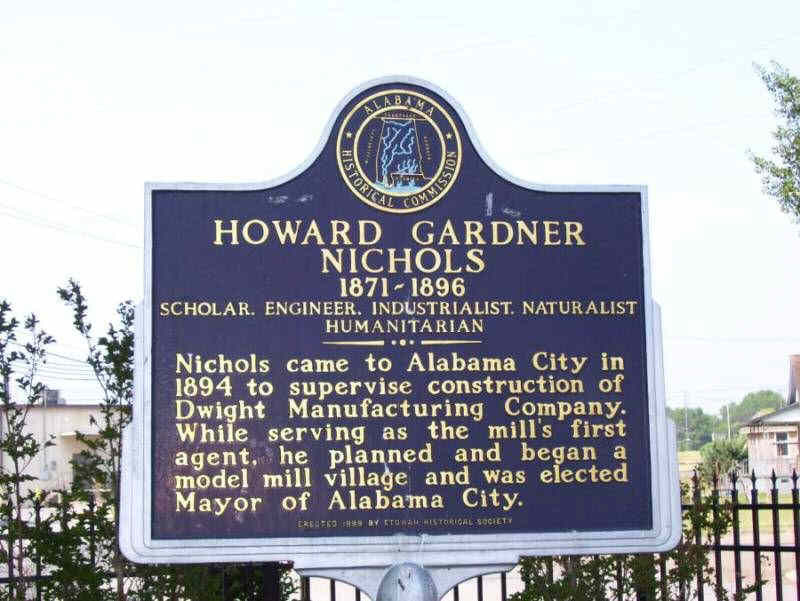 Howard G. Nichols, he was the son of the Family that developed Dwight cottonmill and Mill City which was housing for the workers and is still in use today. Howard was in charge of the project and died from and accident! Ed Lewis showing us the beautifully wood paneling inside the building!! Link to more info about this building! 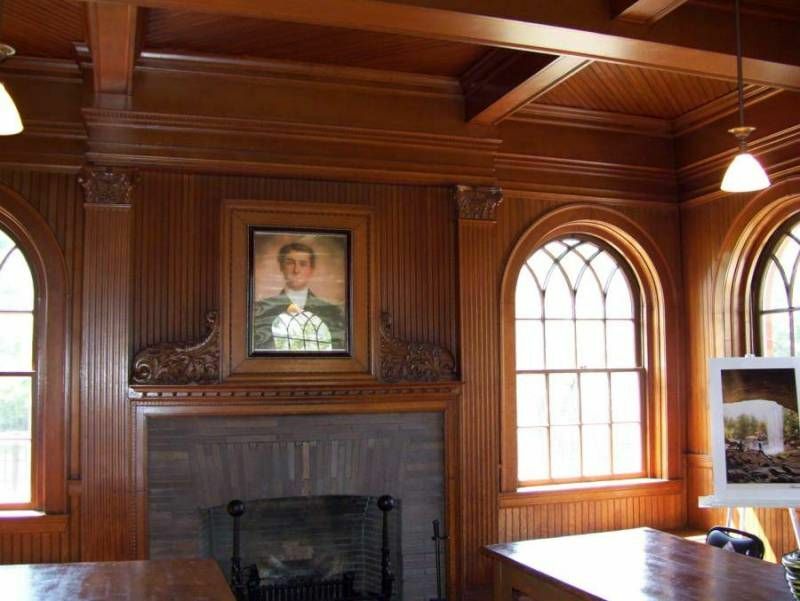 This is a painting of Howard G. Nichols that is displayed inside! Above is the Janney Furnace. 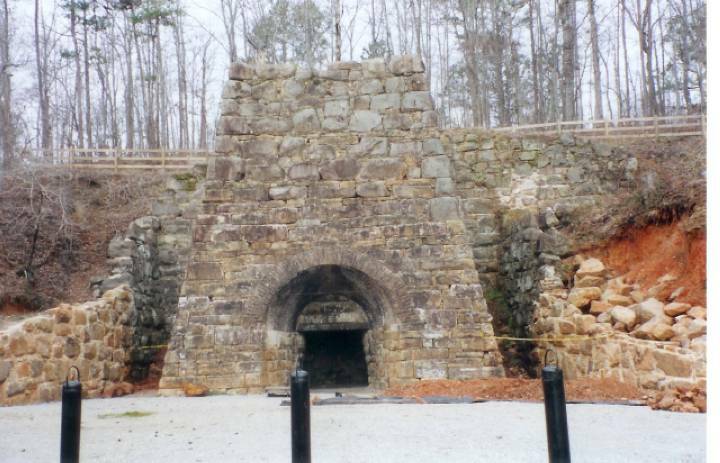 It was used by Confederate forces to make shells, cannon balls etc. However it was over run by Union force's and destroyed except this masonry stack! Next door is a Memorial to Confederate soldiers that were killed in action from this area of the State, with their names engraved on the plaques! Click on Pictures for Enlargement, or Click on Flag for Next Page!! Well what can I say? We love to eat!! 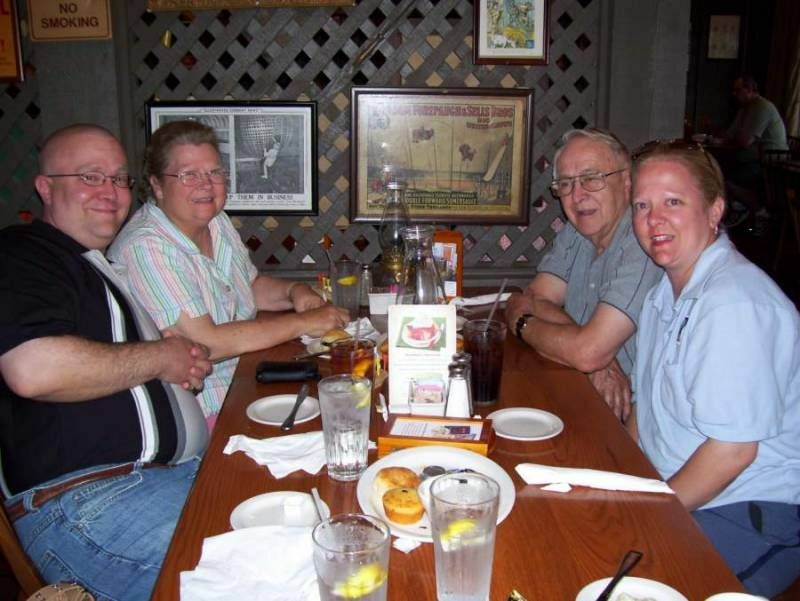 This is Joye and Ray with their son Phillip and daughter Le Anna Rae.